A Feast for the Senses will be held April 8 with a 5:30 p.m. auction preview. Ray Hardman from WNPR’s “Morning Edition” will serve as emcee and master of ceremonies to Green Street Art Center‘s second annual fund-raising event and auction, A Feast for the Senses. This Caribbean themed event will feature music of The Fresh Men-toes with Bill Carbone (drums), Gabe Gordon (piano), Zac Rosen (bass) and Andrew Fogliano (sax/flute) performing songs from Jamaica, Trinidad and elsewhere in a calypso and mento style, and a steel pan duo featuring Deborah Fischer Teason and Sarah Sedgwick Heath. 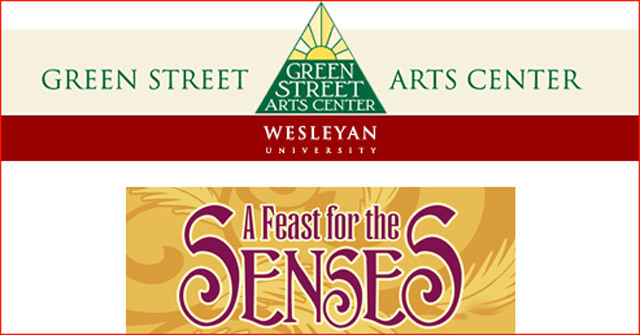 A Feast for the Senses will be held April 8 at the Green Street Arts Center at 51 Green Street in Middletown, Conn. with a 5:30 p.m. auction preview. Tickets are $50 per person and can be purchased by calling (860)-685-7871 or at http://www.acteva.com/booking.cfm?bevaid=212786. For more information visit gsac@wesleyan.edu or call 860-685-7871.